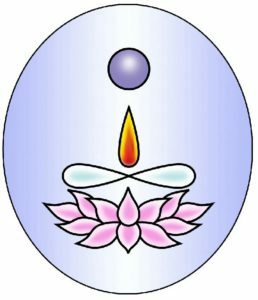 “Purna” means “complete,” and Purna Yoga distills and integrates the vast aspects of yoga into an invaluable set of tools for transformation and healing. It offers more than just exercise. . . because you are more than just a body. You have a body, but you also have aspirations, dreams, relationships, careers, finances, and many other facets of your life. World-renowned yoga master Aadil Palkhivala and renowned meditation and Kundalini master Savitri envisioned a system that nurtures the whole You to help you feel more alive and to shine your light into the world. 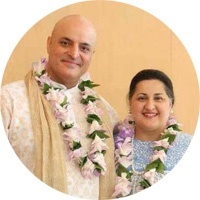 They founded Purna Yoga to fulfil that dream. When we feel lost, sad, confused, stuck, stiff, or are in pain, our bodies are telling us that we have lost contact with the most important part of us, our spirit. Therefore, we must use our breath, movements, thoughts and feelings to welcome our spirit into our first and most important physical home, our bodies. Purna Yoga teaches the mind, the body, and the emotions how to be at home with the spirit. Purna Yoga is the art of loving yourself by living from the heart. The Four Pillars of Purna Yoga. . .
Birthlight is a friendly charity and teacher-training organisation focusing on the holistic approach to pregnancy, birth and babyhood. We aim to enhance the wellbeing of women and their partners through the journey of pregnancy and birth, helping parents and infants relax in shared enjoyment of their new life together. Purna Yoga Helsinki offers Pre- ans Postnatal class as well as Birth preperation with the Birthlight approach. In order to make everyone feel comfortable, we ask you to follow this few simple rules. Please arrive on time for classes. Come at least 10 minutes before beginning of the class, so that we can start on time. The door will be opened 20 minutes before the class starts unless there are only 15 minutes in between classes the door will be opened 10 minutes before the class starts. If you are late for class, please wait until the meditation and mantra are done before ringing the doorbell, which will usually be around 15-20 minutes. We will then open the door, so that you can join in. If the front gate is open, you are more than welcome to come upstairs and wait at the door, and our teacher will let you in just before the asana begins. Please keep your mobile phone during the class on silent mode or switch it off and leave it in the changing room. Note that the studio door remains close during the whole class, so all your items will be safe. It is very important to prepare the body before the practice of yoga. In this regard, avoid eating a big meal at least 2 hours before the beginning of the class, so that your practice can be done joyfully and lightly. Small and healthy snacks, in case you are very hungry, are perfect during this time! Please inform us if you have an injury or any other health issues, so that we can adjust our individual teaching to your needs. We truly enjoy having a very diverse community of students from many countries around the world, which brings people together and makes the yoga practice richer. It’s for this reason that whenever non-finnish speakers are present, our classes will be conducted in English. Please note that whenever Nicola or Gabriel are teaching classes will always be in English. We would highly appreciate if you don’t wear perfume or any other strong scents when coming to class. It can make breathing very difficult and cause a headache to someone else. If you come by bike, that’s wonderful! If so, please make sure to leave the bike in the back yard together with the other bikes.